The Aire flows through valleys historically devoted to farming. From late 19th century it was progressively canalized. In 2001 State of Geneva opened a competition with the idea of restoring the river to its original shape by destroying the canal. We instead proposed to combine the canal with a vast divagation space for the river. 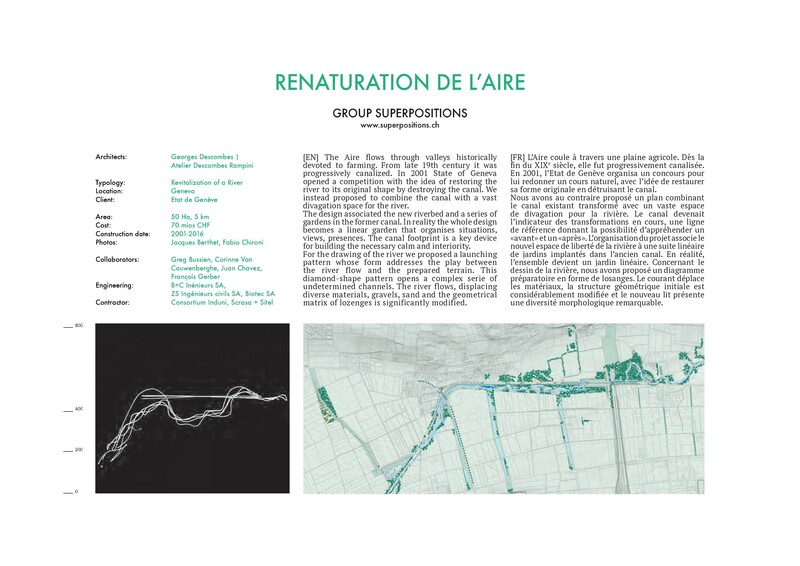 The design associated the new riverbed and a series ofgardens in the former canal. 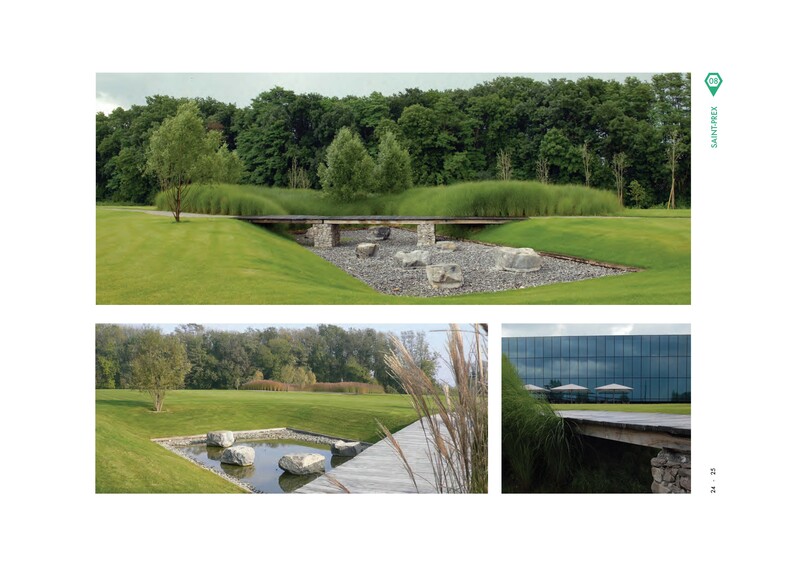 In reality the whole design becomes a linear garden that organises situations, views, presences. The canal footprint is a key device for building the necessary calm and interiority. For the drawing of the river we proposed a launching pattern whose form addresses the play between the river flow and the prepared terrain. This diamond-shape pattern opens a complex serie of undetermined channels. The river flows, displacing diverse materials, gravels, sand and the geometrical matrix of lozenges is significantly modified.